The Phillies reportedly hired themselves some Grade-A American beef over the weekend, tabbing former Los Angeles exec and muscled adonis Gabe Kapler as the franchise’s next manager. Kapler is expected to bring cutting-edge sports science techniques to the clubhouse, a willingness to take risks, and an unfettered beauty that will force thousands of straight men in the area to take a long, uncomfortable look at their own sexual identities. Good god, just look at him. LOOK AT THAT PUNIM! That is a face you can bring home to momma. You could grate cheese on those abs, cheese that Gabe wouldn’t eat because you can’t get abs like that if you’re constantly eating the cheese that you’ve grated off your own abs. Lets get serious. He has a face that looks like it has been sculpted from a pure block of marble, crafted by the finest old-world Italian craftsmen that have ever walked upon this earth. Wives and girlfriends will be wondering while their husbands and boyfriends are staying up late AGAIN to watch the Phillies this summer. Zack Hample, the annoying ball hawk that has long overstayed his welcome in the public eye, wrote a post on his blog in 2013 about a trip he took to Citizens Bank Park for an August match-up between the Phillies and the Braves. He describes then Braves closer Craig Kimbrel actively encouraging his fellow bullpen mates to not throw the needy Hample a ball. Craig Kimbrel, I salute you. Enough with Zack Hample. You’re nearly 40-years-old and still running around baseball stadiums with a glove, trampling fans to catch foul balls and home runs…it’s over. Your ten minutes of fame is finished. I’d rather listen to a complete stranger talk to me about their fantasy football losses than listen to someone go on and on and on about how they catch foul balls at baseball games. You were the best, Chooch. OOOOOOOOOOOOOOOOOOOOOCH. Ahh that felt great. One last Chooooch before the beloved Phillies catcher and second to last vestige from the 2008 Phillies World Series team arrives in sunny Los Angeles to reunite with Chase Utley. Unlike all those dogs that disappeared from my home when I was a kid, Chooch really is going to a better place with wide open spaces where he can dance and prance for the rest of his days. One last postseason run for the man who hit the shortest World Series game winning hit I’ve ever seen. Thoughts and prayers to Mike Missanelli. Philadelphia, PA – Afternoon sports talk host Mike Missanelli is clinging to life at Thomas Jefferson University Hospital today after being admitted for a “massive event,” which doctors are theorizing came as a result from watching Chase Utley receive not one, but two curtain calls in his return to Philadelphia. Lead cardiac surgeon Ronald JcMickon told Coggin reporters that Missanelli was stable, but it was “touch and go” for many hours after he was transported to the hospital. Sources confirmed Missanelli was clutching a Sopranos season three box set on his hands when he arrived at Jefferson Hospital and was attempting to pray to it like an old Jesuit woman clutching a Rosary. “From what we gather, Mr. Missanelli had a major reaction to tonight’s Phillies game. He seemed to take great disdain in Philadelphia fans experiencing a moment of joy for a returning Chase Utley and deemed it inappropriate that he received several curtain calls throughout the game. He’s currently in a coma and we’re not sure if he’ll ever walk again,” JcMickon said. Chase Utley makes his triumphant return to Citizen’s Bank Park tonight for the first time since being traded to the Los Angeles Dodgers last year. The beloved second baseman hasn’t forgotten his roots in Philadelphia while playing out the remaining years of his career in sunny LA, so the hard-nosed athlete reportedly took out an advertisement that will appear in all evening editions of the local newspapers thanking the fans upon his return. Don’t ask how, but we were able to procure a copy of Utley’s ad BEFORE it is to be printed in the papers. We had to do…well…things we’re frankly not proud of. Probably won’t be able to look into a mirror for a long time after this one and I know, personally, that I won’t be able to meet the eyes of my wife or son for many days….but it’s all worth it to get the scoop of the baseball season! Los Angeles, Calif. – Chase Utley, a man of few words who lets his actions do the talking, really fucked the Phillies the right way last night in front of thousands of Dodgers fans and Phillies fans on television. Not known for his flashy style, the gritty second baseman lashed a home run to right field in his first game against his old team. While it may have been tempting to flaunt his success and rub his good fortune in the face of the franchise that traded him away, Utley simply kept his head down while he fucked the Phillies long and deep. Members of the Blue Jays pleading with Philadelphia fans to stop their barrage of beer bottles. 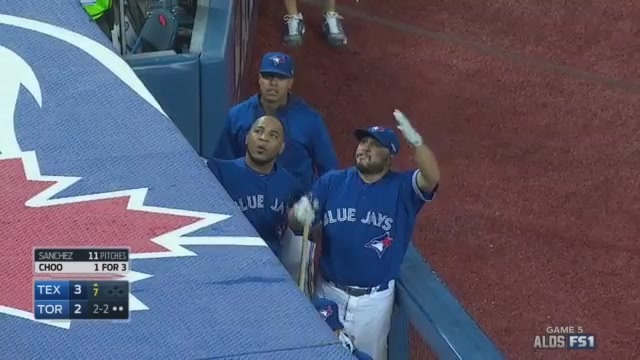 Toronto, Canada – ESPN Sportscenter anchors reported today that several thousand Philadelphia fans hurled beer cans and debris onto the Rogers Centre field during the 7th inning of the Blue Jays and Rangers game Wednesday evening after the Rangers took a 3-2 league. Scott Van Pelt, anchoring the 8 a.m. Sportscenter, said between “5,000 and 6,000 unruly Philadelphia fans” rained beer bottles onto the lower rim of the stadium in a despicable display that is so common of Philadelphia sports fans and never happens anywhere outside of Philadelphia. “Perhaps the worst example came when an obvious Philadelphian hurled a beer can filled with batteries from the top deck, striking a newborn in the head. Only in Philadelphia, folks, just horrible,” Van Pelt said, sneering into the camera.